Some of the Laurels and Pelicans headed out into their fundraiser at Panteria with boffer weapons that were built specifically for them. These peers proposed “specialty weapons” which they would get to use only if they raised enough money. The weapons added humor to the already lively bouts. Baroness Leonete D’Angely has once again turned out a “Betting Man’s Guide” for the Laurels vs. Pelicans boffer melees along with her father and partner in crime, Master Liam St. Liam. Guides cost $1. You can buy them online or in person at the Laurels vs. Pelicans melee at Panteria. To buy a copy online, go to www.laurelsvspelicans.com and contribute $1 using the PayPal button. A pdf of the Guide will be sent to your email address. 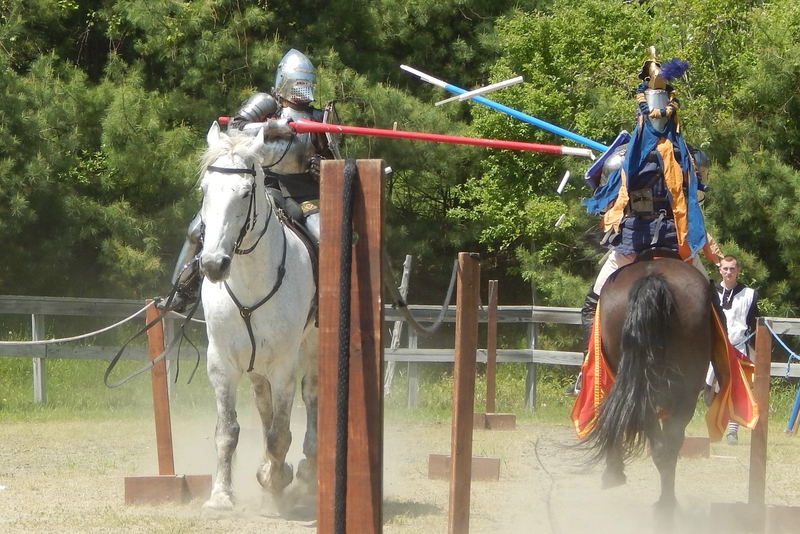 Your donation will go to the Pennsic war chest and help fund Pennsic activities such as the Knowne World Party which is going to be held after opening ceremonies. Queen Kiena, beautiful and fierce inspiration to King Gregor, will get on her hobby horse armed with a boffer lance to slay Laurels on Saturday, May 25th at Panteria. Her Majesty has joined the Laurels vs. Pelicans fundraiser for the Pennsic War Chest on the side of the Pelicans. 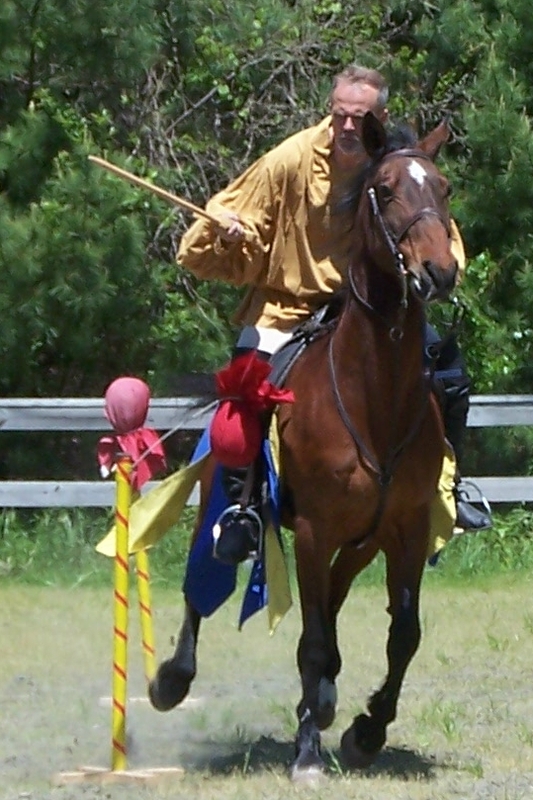 The Pennsic War Chest helps fund the Knowne World Party, Royalty Dinner and other Pennsic activities. With the addition of Her Majesty, Mistresses Catrin and Eleanor moved from the Pelican to the Laurel side to even up the numbers. A good time for the watching crowd is the goal of the melees, which also explains weapons forms like broom, feather of doom and oar. The current tallies for the participants are listed below. If you want to help the crowd have fun, the peers have weapons and fund Pennsic activities, you can donate to a peer at www.laurelsvspelicans.com. Don’t let a peer go out armed with only a dagger against Her Majesty’s steed and lance! Why are the Laurels and Pelicans Fighting? The Laurels vs. Pelicans will be fighting in a boffer melee to raise money for the Pennsic War Chest. The War Chest supports Pennsic related expenses associated with the Royalty such as the Known World Party (which will happen after opening ceremonies), the Royalty dinner and the Queen’s Tea. Rumor is that the Known World Party is something the populace will not want to miss this year. More pelicans have joined. Despontissa Margarita Kofinopoia, the Scourge of Somethingorother, hopes to take the field with a broom; Maestro Dorio of the Oaks, The Peaceful Negotiator, wants a Feather of Doom; and Master Ulric von der Insel is fundraising for a Giant Spoon. The Laurels gained Mistress Eva Woderose, The Killigrapher. The most senior peer in the melees, Master Leiftameon, added a specialty weapon of juggling clubs. He received his Laurel thirty-three years ago. If he makes the $100 level, the weapon makers will make clubs balance them so he can juggle them on the field. Mistress Mirabel has already raised enough money to get a sheep, Mistress Dzioginte gets a shovel and Master Edward will have Cuddles, the Giant Scorpion of Doom. Other peers are still in need of some fun weapons that the crowd will love. 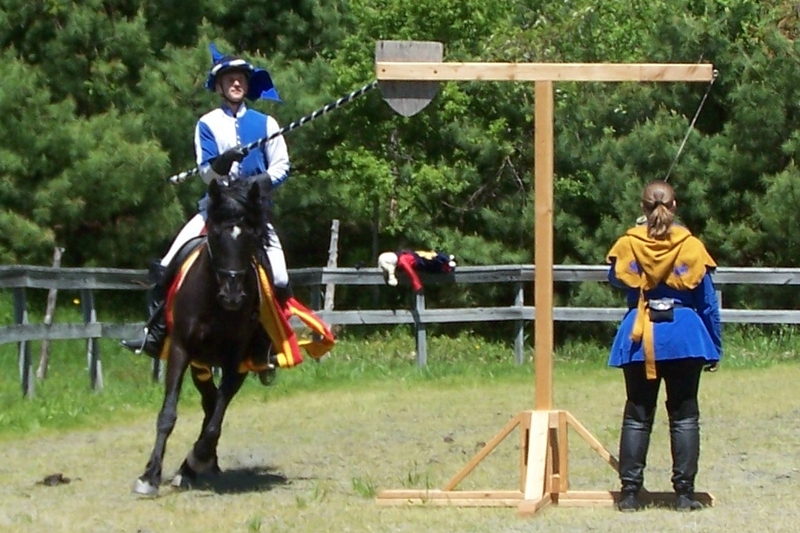 You can see who you might want to support – and help support some Pennsic fun at www.laurelsvspelicans.com.